The latest unit sold at Vornado Realty Trust’s 220 Central Park South went for $23.4 million. The anonymous buyer is listed as Fantastico New York LLC, according to records filed with New York City’s Department of Finance. The asking price was $22.7 million, per the condominium offering plan. Unit 40A spans 3,114 square feet and has three bedrooms. The purchase price comes out to $7,510 per square foot. Property records note that the sale was for “multiple residential condo” units but it wasn’t immediately clear what else was part of the deal. The buyer’s attorney, Bruce Cohen at Cohen and Frankel, didn’t immediately respond to a request for comment. The unit is currently listing as a rental asking $59,000 a month. Corcoran’s Carrie Chiang, Loy Carlos and Andres Perea-Garzon have the listing. Two other units at the tower are also listed as rentals. The deal follows a string of high-priced sales at the building. 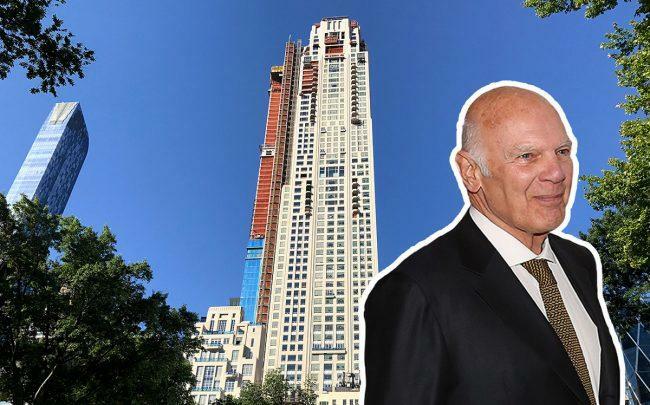 Earlier this month, another anonymous buyer paid $22.5 million for Unit 38A at the 79-story limestone tower. That unit is also listed as a $59,000-per-month rental. Amenities at the tower include a wine cellar, juice bar, library, swimming pool, basketball court and a golf simulator room. Aside from billionaire Ken Griffin’s record-breaking $238 million purchase, other buyers at 220 Central Park South include Paramount Group CEO Albert Behler, hedge funder Daniel Och and debt-collection mogul Andrew Zaro. Vornado is making profits estimated to hit $1 billion, according to the company’s fourth-quarter earnings call. The project has an estimated sellout of $3.4 billion and total construction cost of $1.4 billion. All 27 of the full-floor units have now sold.